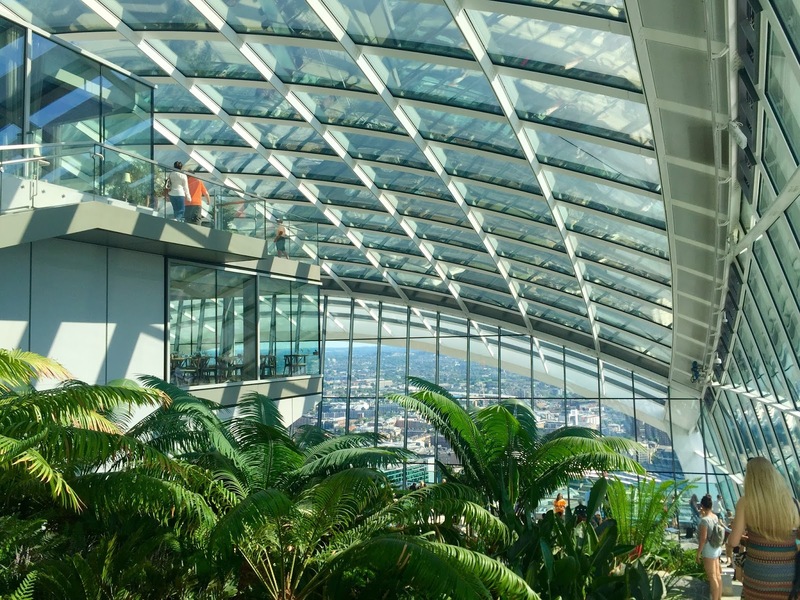 Last Tuesday my friends and I took the lift all the way up to the 37th level of London's Walkie Talkie(155 metres up) to experience The Sky Garden. This free all year round event is amazing and I certainly recommend it to anyone. 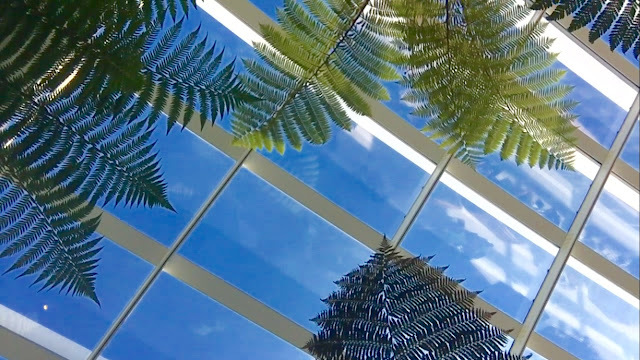 Due to the fact that The Sky Garden is spectacular and free it is incredibly popular so you have to book tickets in advance - and tickets get booked up quick! We booked our slot for 4 o clock on Tuesday, we wanted to visit during the day in the sunshine to get the most out of the beautiful views over the capital. As soon as we arrived at Level 37 we walked out on to the balcony to take in the amazing views over London (and it was very windy which wasn't great in a short dress,,, 😂). The huge windows gives you a 360 º view of London, and most of London's famous landmarks can be seen including The Shard, Tower Bridge and The Gherkin. The Sky Garden is covered in exotic plants, trees and shrubs, and small seating areas, paths and bars are situated in admist the garden. We sat down and had an iced juice and a snack. My friends and I decided to go on the hottest day of the year (silly I know) and we were sweating very badly so we were dying for a refreshing drink! I had a fresh cranberry juice and a packet of berry popcorn - which was delicious and definitely needed! We wandered around the garden taking photographs and having a lovely time, and then decided it was time for dinner. We walked to the nearest Bills restaurant at London Bridge (the birthday girl's choice) and it was delicious! I ordered the Mojo Chicken Skewers with cous cous salad, and finished with an Eton Mess. Oh and I ordered the most amazingly refreshing Watermelon Cooler! I had a delicious meal and overall a great day with my friends. it looks so cool! I'm going to London next week and this is on my list of things to do.